Thinking of joining Texture? 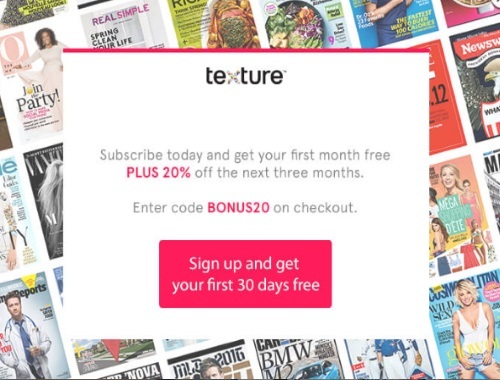 Subscribe today and get your first month Free and if you like the service you can get 20% off your next three months! Enter the promo code BONUS20 at checkout.